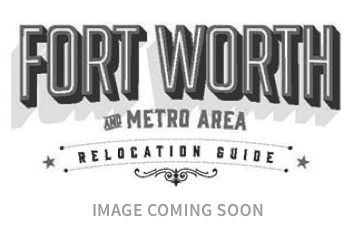 Heading to Fort Worth is a wise move. There are so many colleges and universities that your educational possibilities are limitless. Fort Worth alone has five nationally recognized universities; North Texas is home to more than a dozen. All do cutting-edge research while providing the highest quality education to a global mix of students. Located just down the road from the city’s cultural district on a sprawling green and flowery campus is Texas Christian University (TCU). This private university serves more than 10,000 students from all over the world in both undergraduate and graduate programs. The price to become a Horned Frog is about $50,000 a year, including books, fees, and room and board. The university offers small classes, plenty of graduate programs, and a highly ranked Big 12 football team that bleeds purple. Other major universities in Tarrant County include: Texas Wesleyan, Southwestern Baptist Theological Seminary, the new Texas A&M University School of Law, University of Texas at Arlington, Tarleton State University, and UNT Health Science Center, which has become one of the country’s leading graduate academic medical centers, located right in the heart of the city’s thriving cultural district. The Health Science Center is teaming up with TCU to create a new medical school, which will be the first of its kind in the city. The new school will accept its freshman class in 2018. For students of all ages interested in continued learning, Tarrant County College (TCC) provides affordable courses and programs for credit and noncredit students. TCC has six main campuses throughout Tarrant County that teach everything from photography to biology. Its Northeast Campus, located in the suburb of Hurst, has a journalism department that leads the state in awards and accolades every year. The college partners with four-year universities to prepare students to pursue bachelor’s degrees and beyond.